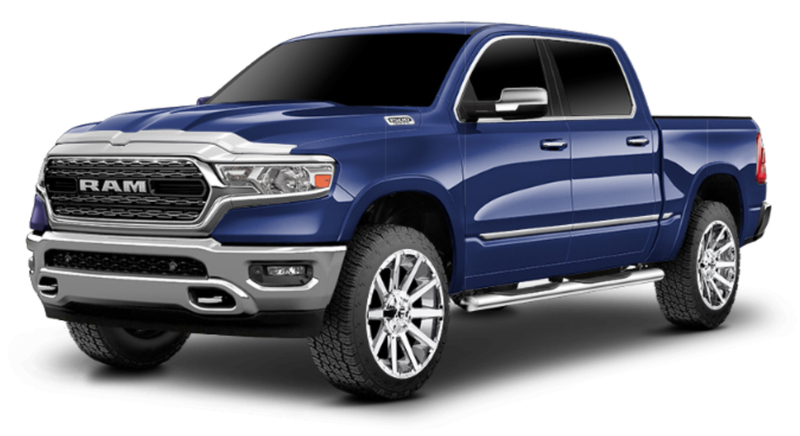 Kicking off the 2019 models that are coming to a dealership near you is the all new RAM® 1500. 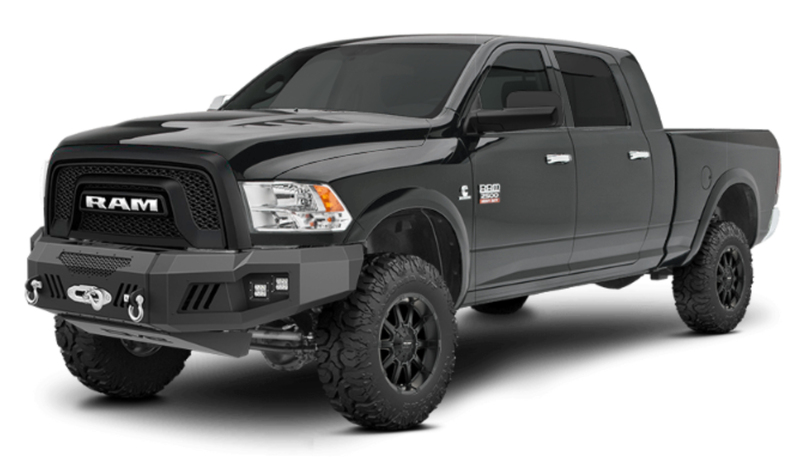 We have loaded in all 7 models available for this new RAM truck, from the entry level Tradesman to the decked out Limited. 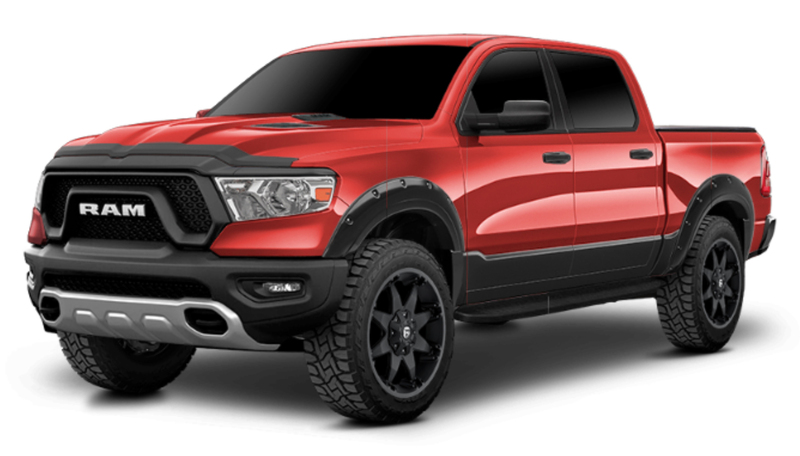 As the aftermarket scrambles to catch up with this new release, all Mopar dealers will be happy to see the assortment of products available as we tried to put everything in the Mopar listing on this new truck. And as the aftermarket does catch up we will keep you informed of any new products added. For now, a good offering of wheels, tires, and hats off to the crew at Pro Comp Suspension who was the first to put out a kit for this vehicle weeks after it hit the dealerships. If there has ever been a tire launch with more hype around it than the new BFG KM3, I’d like to see who, when and where. The team at BFG dominated the internet this past month with their launch of the KM3 out on the Rubicon trail with racing legends, industry influencers, and media driving everything from Jeep JK’s, JL’s, Land Rovers and race cars all running this new awesome tire. Our team of programmers worked hard to get ever tire size they offer on ALL the vehicles on the day of the official launch…of which are now all available to you, our Interactive Garage licensees. From a stock replacement model to the massive 39×13.50r17 offering, we have them all at the click of your mouse or touch of your finger tips (for those using touch screens). Please check with your local BFG representative or BFG distributor on the KM3 part numbers that are available as not all listed in the admin are shipping at this time. Please make sure to log into your ADMIN to enable this new product from BFG. Help us welcome our newest vendor to the Interactive Garage family, DV8 Offroad. We have had a few of their products on the JK’s and JL’s for the past few months, but now we are proud to announce that all of their products will be available to you in the coming months. We did come out of the gates swinging as there are currently over 100 products available today from DV8 on 11 of the Interactive Garage vehicles. Front bumpers, body armor, lighting options, steps and fender flares on the JK’s and JL’s. Baja style and full size truck bumpers on the trucks. Interested in more info about DV8 Offroad, please visit www.dv8offroad.com, visit them on facebook or contact them direct for more info by e-mailing Cole McMath. Another new fantastic company with deep routes in the aftermarket industry, please welcome JKS Manufacturing. We started their line with the latest and greatest they offer for the 2018 Jeep Wrangler JL. From their JSpec suspension, ACOS adjustable coil spacer, to where they started in the industry with their quick (or quicker) disconnect products. We will have the remaining products from JKS up and running for the JK’s very soon. Stay tuned. For more information about JKS Manufacturing, visit them at www.jksmfg.com, follow them on facebook, or call their customer service line at 517.278.1226. WARN: Elite Series Full-Width Front Bumper w/Grille Guard Tube and Skid Plate Option. WARN: Elite Series Stubby Front Bumper w/Grille Guard Tube and Skid Plate Option. 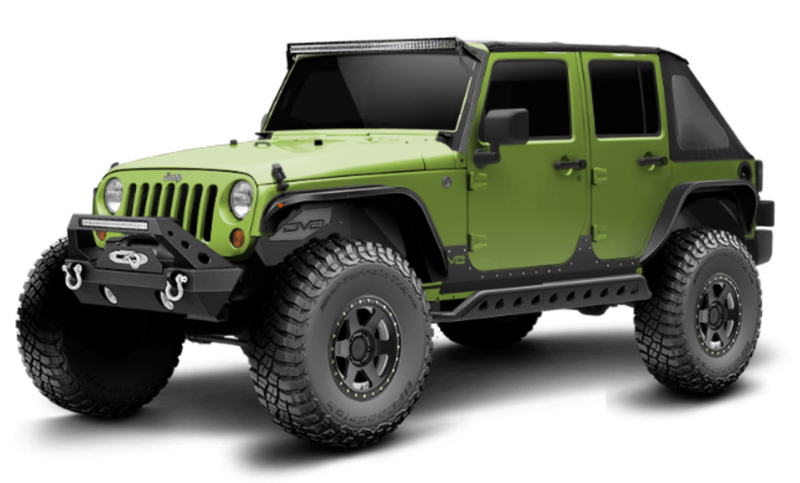 DV8 Offroad: 11 Front Bumpers, Windshield Light Mount, Fender Flares, and Inner Fender Liners. 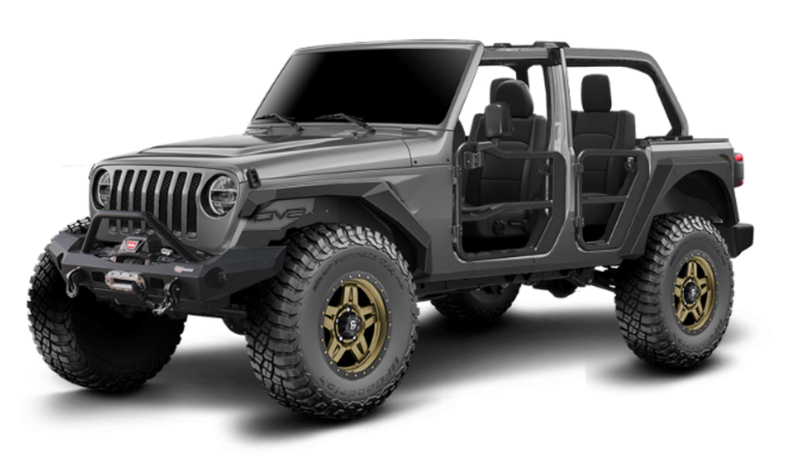 JKS Manufacturing: JSpec 2.5″ Suspension, Front ACOS Adjustable Coil Spacer & Spacer Pro, and Quicker Disconnect Swaybar systems. Over 480 new accessories have been added to a variety of vehicles throughout your Interactive Garage software program. This month we will do what is new by vehicle. 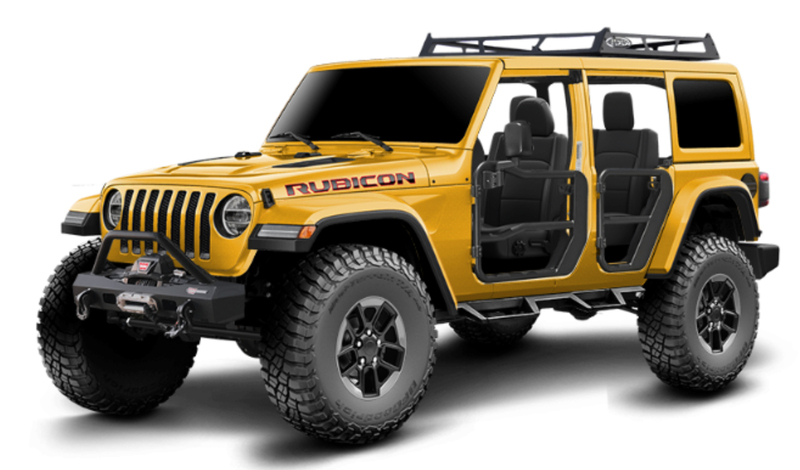 Let your customers know that your location is ready to help them build their ULTIMATE dream vehicle with our new Authorized Dealer door sticker. 5″ wide x 8″ tall door sticker is now available at no charge to any of our licensees. If interested in this FREE door sticker, please EMAIL us. Please make sure to include your company name and shipping address in your email. Thank you for being a loyal customer and more important part of our Interactive Garage family.